There is a number of dental problems that may constitute a dental emergency. If you experience any of the following, please contact our office immediately. Your tooth is knocked out or loosened. This type of dental emergency is usually the result of an impact to the face or jaw. Your tooth can become chipped as a result of excessive teeth grinding, trauma to your face or mouth, a cavity, or biting down on something too hard. 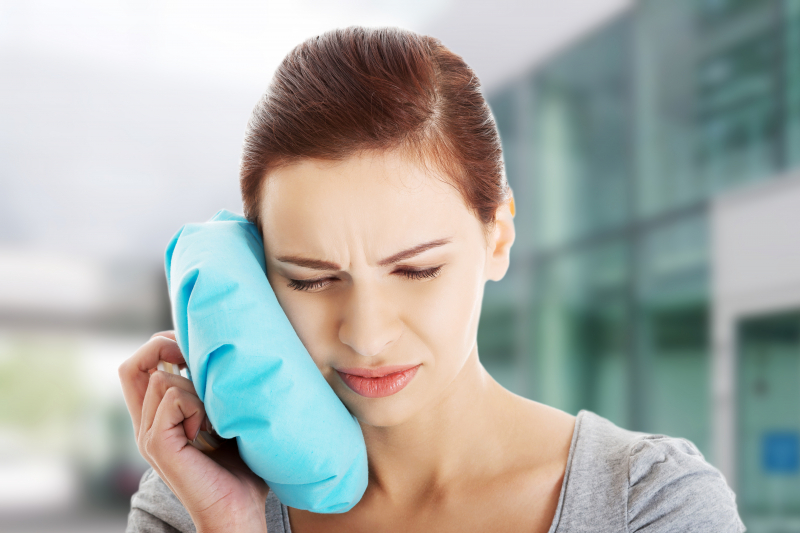 A toothache can be characterized by a dull or sharp pain, and can be caused by tooth decay, an abscess, gum disease, or damaged fillings or sealants. If you have had dental work in the past, your restoration may become dislodged. This could happen as a result of trauma, or poor maintenance of your dental work. If you require immediate medical attention, contact our office right away. 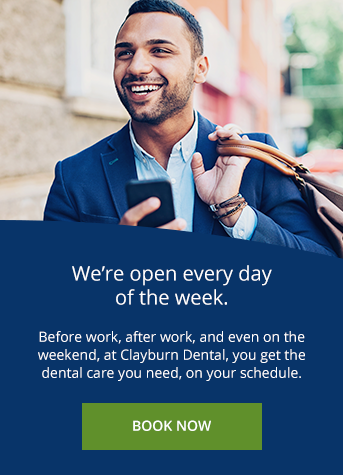 Clayburn Dental is open 7 days a week! Our extended dental clinic hours are designed for the convenience of out Abbotsford patients. How do I prepare for a dental emergency at home? What should my emergency kit contain? If you experience an injury to your mouth, the first step is to quell any bleeding using your gauze. If you have lost a tooth (or a piece of a tooth), try to locate it. Once found, remove any debris and if possible, place it carefully into the socket, and bite down gently. If you cannot put it back into the socket, add some milk to your lidded container, and place the tooth inside. Preserving the tooth or the piece of tooth in this way will make it more likely that your dentist will be able to replace it. If you are experiencing pain or swelling, take your painkiller (read the instructions on the bottle carefully for a recommended dose), and apply your icepack to the area. Call our office as soon as you are comfortable and safe, and we will make room in our schedule to see you as soon as possible. If you are experiencing a dental emergency, contact us to book an appointment with our Abbotsford dentists. My favourite part of my job is that it always provides me with new challenges and opportunities to help people. Whether I'm relieving patients' pain and anxiety, creating a new smile, or answering questions, I always look forward to the variety each new day brings.